Many locals are not pleased by the release of 155 Chinese loggers, claiming that while the sentence was extreme, so is exoneration. 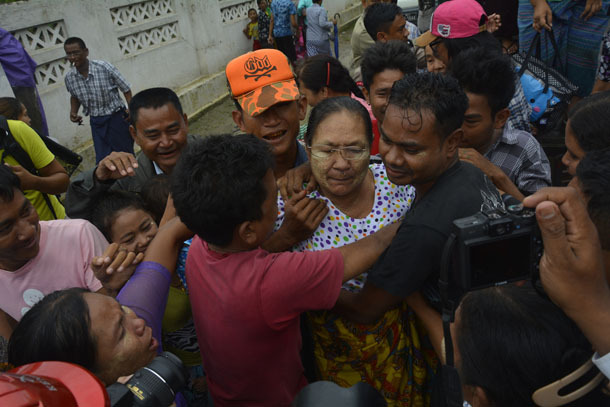 RANGOON — Burma’s pardon on Thursday of 6,966 prisoners, 210 of whom were foreign nationals, sent a confounding message to those who follow the country closely. Announced on the eve of the Warso Full Moon holiday, the government said the amnesty was partly intended to bring prisoners back into the political fold, while the foreigners were released “for the sake of friendship and cordial relations” with other countries. A good many headlines were concerned primarily with the foreigners on the list, accounting for about three percent of those pardoned. Among them were 155 Chinese loggers, nearly all of whom had been dealt life sentences last week prompting a diplomatic protest from Burma’s giant neighbor. While the pardon may have smoothed things out abroad, it didn’t help at home. An immigration official in the Kachin State capital Myitkyina, where the Chinese prisoners were being held, said the 155 loggers in question were still in custody and soon to be deported upon order of the Ministry of Home Affairs. Many locals expressed outrage, claiming that while the sentence was extreme, so was the exoneration. Deforestation is a growing concern in Burma, particularly in the northern ethnic minority state which has been through decades of conflict with the government. Moreover, the timber trade and other extractive projects have been both a root cause and perpetuating factor in the conflict. 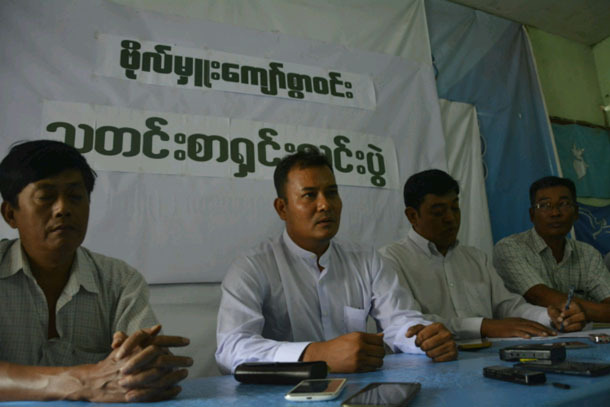 Kyee Myint, a member of the Myanmar Lawyers Network, went so far as to say that the pardon flew in the face of “the rule of law” and risked damaging the country’s sovereignty. “It’s really ugly,” Kyee Myint said, adding that the move indicated that the government felt “pressure” from China, with which Burma has long been economically entwined. Burma’s dependence on its neighbor has lessened in the four years since political reforms began—ushering in a new era of openness with the West—and the two disproportionately powerful neighbors have not been on the best of terms. Just over a dozen, it seems. The country’s main advocacy group on the issue, the Assistance Association for Political Prisoners (AAPP), was not informed of the pardon in advance, nor consulted on remaining prisoners of conscience. The group’s director, Bo Kyi, was still combing through the list on Thursday afternoon trying to ascertain who on his roster was still behind bars. Mya Aye, who was among the leaders of the 1988 student uprising, accused the government of manipulating the presidential right to pardon for political ends, rather that upholding justice. The retention of political prisoners will remain a sore spot for many in Burma until the public is convinced that every prisoner of conscience is free and supported, and that the legal atmosphere is no longer one that can be manipulated by authorities to inhibit activism and basic freedoms. Mya Aye’s comments reflect a general frustration that the whole notion of amnesty—which carries very specific hopes for those who were once jailed by a brutal regime—has been used to facilitate and obscure political maneuvers. A number of political prisoners were released on Thursday, however, including five journalists sentenced to two years for disseminating false information. The two owners and three reporters of Bi Mon Te Nay journal were arrested last year after publishing a report based on false information that opposition leader Aung San Suu Kyi had formed an interim government. Despite various calls from rights groups to free the group, they still ended up carrying out almost their entire sentences, which would have ended in October. 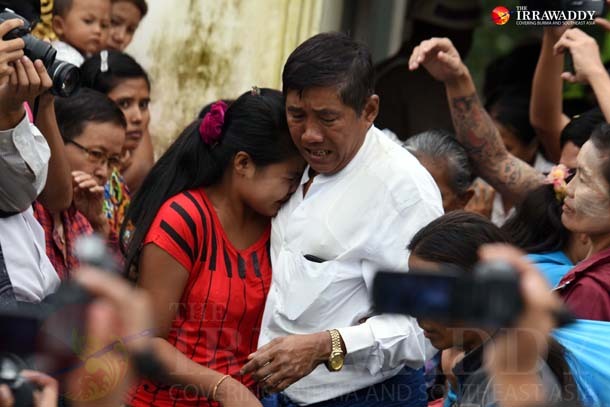 Also freed on Thursday were a number of intelligence officials, including former head of counter intelligence Brig-Gen Than Tun, who had earned a lengthy sentence after notorious spy-chief Khin Nyunt was purged in 2004. Also of interest is another freed military man: Maj. Kyaw Zwar Win, jailed for two years after he was photographed signing a petition in support of a constitutional amendment that would curb the legislative power of the armed forces. 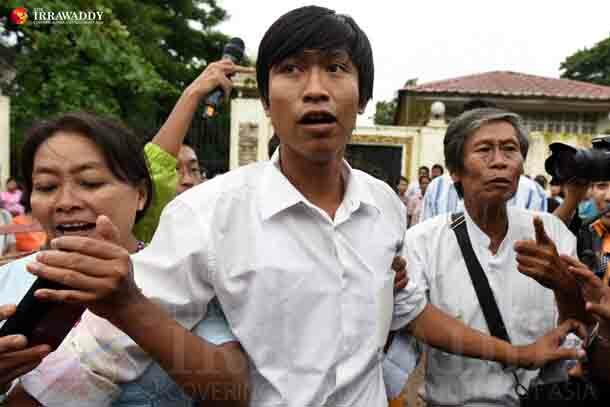 Convicted of disobedience by a military court, he was locked up in Mandalay’s Obo Prison for a total of eight months. Shortly after his release on Thursday, the Major maintained that his behavior was within the law and that he signed the petition to express his belief that the constitution should be changed. 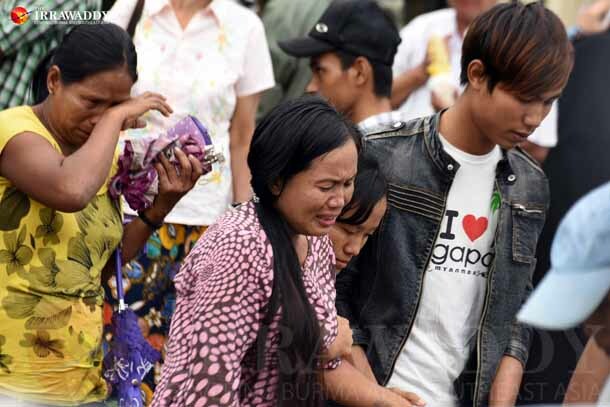 The harsh reaction ultimately led him to be more sympathetic the opposition party, the National League for Democracy (NLD), and its chairwoman Aung San Suu Kyi. Kyaw Zwar Win told reporters that he may even opt to contest a parliamentary seat on the NLD ticket, “if Daw Suu chooses” him.